Your institution must subscribe to JoVE's Advanced Biology collection to access this content. 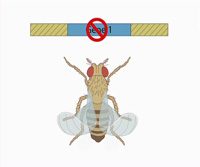 Morpholino-mediated gene silencing is a common technique used to study roles of specific genes during development. Morpholinos inhibit gene expression by hybridizing to complementary mRNAs. Due to their unique chemistry, morpholinos are easy to produce and store, which makes them remarkably cost effective compared to other gene silencing methods. This video reviews proper experimental design when using these oligonucleotides. Following that, an explanation of morpholino microinjection techniques in zebrafish and the analysis of resulting phenotypes will be discussed. Finally, we showcase examples of specific applications where morpholino technology is used to model developmental disorders or to study tissue regeneration. JoVE Science Education Database. Developmental Biology. Gene Silencing with Morpholinos. JoVE, Cambridge, MA, (2019). Gene silencing techniques are commonly used in the field of developmental biology. Morpholino-based knockdown approaches routinely allow researchers to both identify and characterize genes involved in important cellular processes. Antisense morpholinos are now widely popular in many model systems, including mice, chicks, and zebrafish, due to their high efficacy, high specificity, and low cost. This video will provide an overview of morpholino mechanisms and microinjection strategies, key experimental controls, and how morpholinos are being used in labs today to investigate vertebrate development. Morpholinos were first developed as a way to inhibit the translation of RNA transcripts in living cells and organisms. Generally, morpholinos are synthetic molecules made up of 25 oligonucleotides connected by a neutrally charged backbone. But although morpholinos may look a lot like DNA, they contain morpholine rings in place of the sugar groups found in phosphate sugar backbone. This simple conversion increases morpholino stability in cells, and lowers their cost of production. Inside cells, morpholinos are targeted to the RNA of interest by complementary base pairing. The location on the RNA where the morpholino hybridizes determines its specific mechanism of action. Splice-blocking morpholinos bind to specific junctions and inhibit proper transcript processing, whereas translation-blocking morpholinos bind within the 5' untranslated region of the gene near the translational start site and prevent ribosome assembly. Both types of morpholinos reduce expression of functional target proteins. When planning an experiment using morpholinos, there are a few important considerations to keep in mind. Morpholinos can be used in several model systems, so it is important to select a model that is able to address the biological question at hand. Morpholinos are commercially synthesized, and professional design assistance is available at no cost to researchers, but because they are sequence-specific, gene information for all specific morpholino targets should be sourced prior to design. In the zebrafish model system, there are often two copies of single genes found in other vertebrates, due to a whole-genome duplication event that occurred in an evolutionary ancestor of the zebrafish. Therefore, knockdown of both zebrafish genes may be necessary to successfully model protein deficiencies in human development. Designing good experimental controls is just as important as designing your targeted morpholinos. Any given morpholino can bind to specific sequences on different genes. It is advisable to use independent, non-overlapping morpholinos complementary to the same gene, in order to ensure that an observed phenotypic change is due to knockdown of your gene of interest. 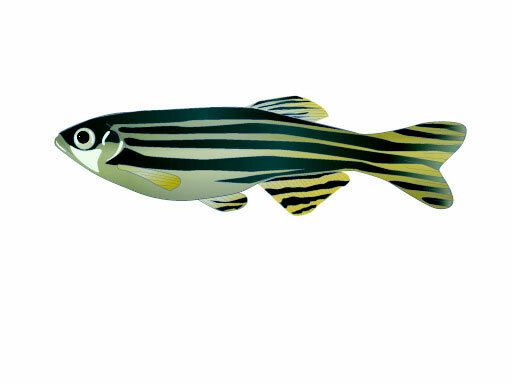 Now that we've addressed morpholino experimental design, let's have a look at how morpholinos are introduced into zebrafish. Here, we will describe morpholino microinjection into zebrafish. 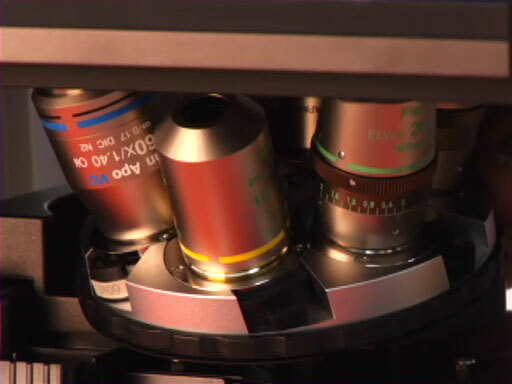 For more insight and instruction on the details of microinjection, please reference the JoVE Science Education video entitled "Zebrafish Microinjection Techniques." Morpholinos are typically injected into zebrafish embryos between the one- and four-cell stage, into the yolk or cell cytoplasm. Cytoplasmic connections between embryonic cells allow for rapid diffusion and ubiquitous delivery of water-soluble morpholinos throughout the organism. Morpholinos are stable in cells, since the zebrafish embryo is raised at 28.5°C. Optimum injection concentrations and volumes must be empirically tested for each morpholino. 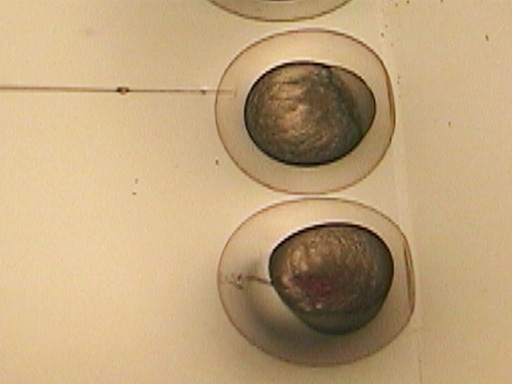 Typically, the lowest dose at which there is a defined reliable phenotype in at least 50-75% of injected embryos is used in order to avoid embryonic lethality or unwanted off-target effects. Most morpholino zebrafish phenotypes are identified in the first three days post-fertilization, and gene silencing is generally effective through day five. In the case of splice-blocking morpholinos, RT-PCR can be used to identify relative amounts of native and altered transcripts. For translation-blocking morpholinos, levels of gene knockdown may be assessed by Western blot. The rapid external development and transparency of zebrafish embryos allows for easy observation of many early biological processes. Morpholino phenotypes can commonly be scored by analyzing morphology using brightfield or fluorescence microscopy, as well as by assessing behavior. After the morpholino phenotype has been defined, RNA rescue can be performed to demonstrate target specificity. Following morpholino knockdown of the endogenous mRNA, synthetic mRNA is injected, which encodes the same protein, but does not contain the morpholino target sequence. If this injected RNA is able to restore the wild-type phenotype of the organism, then we can conclude that the observed morpholino phenotype is specifically due to the target gene getting knocked down. Now that you have a feel for what morpholinos are and how controlled morpholino experiments can be performed, let's look at how morpholinos are being applied in biological labs today. In cell biology, morpholinos are used to understand early developmental processes. Cilia-generated fluid flow in Kupffer's vesicle is one example, which controls left-right patterning in zebrafish. Fluid flow runs counterclockwise in control-injected embryos, whereas silencing of a gene that regulates ciliated cell organization disrupts fluid speed and direction. Morpholinos are also very suited to quickly and reliably model human genetic diseases. Loss-of-function phenotypes can be easily reproduced by manipulating protein expression, as seen in a zebrafish model of human dysplasia displaying kidney cysts, pericardial edema, and a curled tail. Additionally, pathogenic mutations can be rapidly assayed in vivo by using wild-type or mutant mRNA to rescue morpholino disease phenotypes. Since morpholinos can be introduced into living cells in different ways, they are highly valued in studying organ regeneration and development. Microinjection followed by electrical stimulation of morpholinos into specific tissues has allowed researchers to study fin growth and retina formation in adult zebrafish. You've just watched JoVE's introduction to gene silencing with morpholinos. In this video, we've discussed the structure and mechanism of morpholinos, common applications for use, and important ways to assess efficacy and effects of targeted gene silencing. Because they are easy to design, highly specific, and cost-effective, morpholinos will remain a significant player in the field of reverse genetics, helping to functionally analyze genes involved in disease and development. Thanks for watching!